The G in G-Wagen is short for Geländewagen and put an Ehrfürchtig in front makes this an "Awesome Terrain Vehicle" or ATV for short. The G-Wagen is a brick styled SUV built by Steyr-Puch in Austria for Mercedes-Benz with minimal changes for a remarkable 32 years. 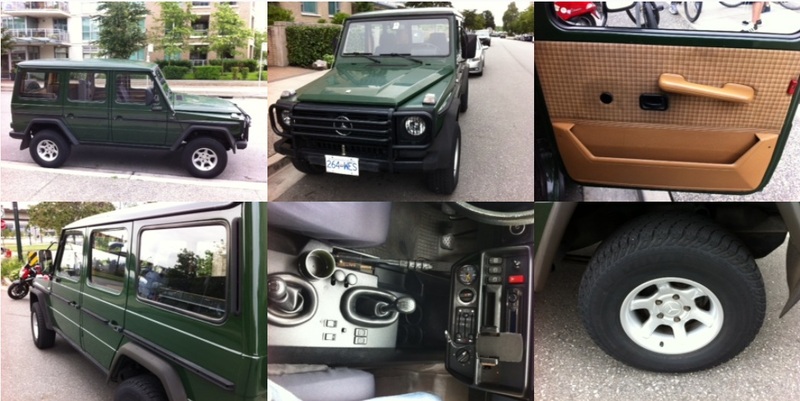 Find this 1985 Mercedes-Benz 300GD G-Wagen for sale in Vancouver, BC for $13,000 CDN via expeditionportal.com. Big thanks to Sam P. for the tip! This G-Wagen is powered by a naturally aspirated OM617 inline-5 cylinder diesel that puts out, on a good day, 87 horsepower. However, it is easy to turbocharge with junkyard parts (except for piston oil squirters) and this one is equipped with a 4-spd manual, 9 seats, and locking front & rear diffs. It sold three weeks ago.